To protect the majority of homeowners against costly or rogue board decisions, the Florida Condominium Act imposes a limitation on the type of alterations or additions that may be made to the common areas of a condominium property. In short, no material alteration or substantial addition is permitted other than in the manner provided for in the association’s declaration. And what happens if the declaration is silent in that regard? Then 75% of the total voting interests of the association must approve the alteration or the addition before it can start. Sounds pretty clear, right? Not so fast. A Florida appellate court recently issued a decision interpreting a condominium association’s declaration and the above statute. In that case, an owner contested whether the association’s board of directors had the authority to make what the owner believed was a material alteration to the common property in light of the declaration only granting the board of directors the authority to make alterations or improvements (note the omission of the word “material”). In so doing, the owner argued that Florida Statutes controlled and a 75% unit-owner vote was required. The appellate court found that “alterations” referred to all alterations, not only non-material alterations. It therefore concluded that the board of directors had the authority to approve all alterations, including material alterations, without an owner vote. This appellate court ruling is another example of the broad authority given to an association’s board of directors. So where do Florida homeowner associations stand when it comes to alterations or additions to their common property? Unfortunately (or perhaps fortunately) the Florida Homeowners’ Association Act is silent on this issue. The limited case law suggests that if the governing documents for the community don’t authorize upgrades or improvements then they can’t be done. Again, sounds pretty clear, right? Again, not so fast! A lot of times a homeowners association’s governing documents aren’t clear when it comes to whether an alteration or addition to the common property is allowed. And guess who would have to ultimately decide whether the board had the authority to make the upgrade or improvement in those instances? You got it, a court of law. Florida homeowners need to carefully consider who they elect for homeowners association boards. And by attending and participating in board meetings, home-owners may find solutions to disagreements and avoid legal issues among neighbors. Remember, both a Florida condominium and a Florida homeowners association’s declaration and other governing documents can always be amended to limit or broaden the power of the board when it comes to changes to the common property or to clarify the board’s power. Doing so may be needed to avoid a legal dispute down the road. 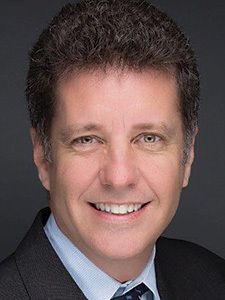 About the Author Matthew Zifrony, a director with Tripp Scott, is the president of one of the largest homeowners associations in Broward County and represents numerous condominium and homeowners associations in the tri-county area, providing counsel on such issues as collections, rules enforcement, contractual review and association documents. For more than 40 years, Tripp Scott has played a leadership role in issues that impact business. A team of strong attorneys who are respected by their peers, as well as their clients, has been key to our success.